1. 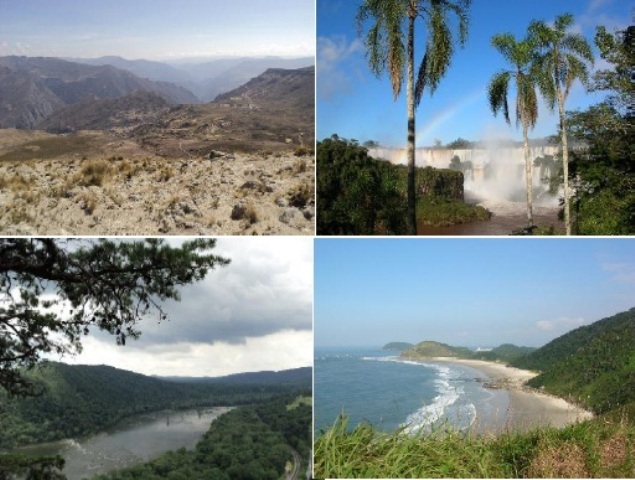 Describe in Spanish or English the landscape that you see in these photos. Describe en castellano o inglés el paisaje que ves en estas fotos. 2. Learn these words in English and identify them in the photos above. Aprende estas palabras en inglés e identifícalas en las fotos de arriba. 3. Learn these phrases and answer the questions about the photos below. Aprende estas frases y contesta las preguntas sobre las fotos de abajo. Is there water? “IS der WA-ter?” ¿Hay agua? Yes, there is. “IES, der IS.” Sí hay. No, there isn’t. “NO, der IS-int.” No, no hay. Is there water? Is there an ocean? Is there a cloud? Is there a waterfall? Is there a mountain? Is there a beach? Is there a river? Is there hill? 4. Practice with your own photos./ Practica con tus propias fotos.